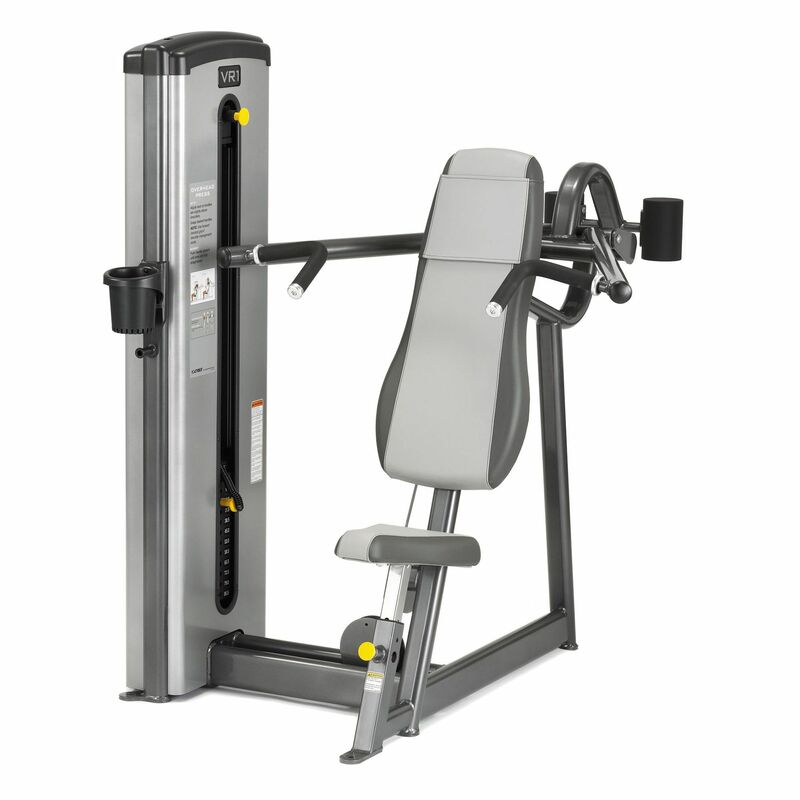 The Cybex VR1 Overhead Press is perfect for novice and intermediate users. The machine’s dependent movement offers the type of motion that gives the feeling of security. Because both arms are working together in a fixed manner, the overhead press exercise feels more controlled. The Cybex VR1 provides very natural path of motion (linear with the overhead pivot) that users feel comfortable with, which is different from the less natural and less effective descending path offered by many other chest presses on the market. The VR1 also guarantees safety for compromised shoulders as it features the neutral grip along with the barbell grip. In addition, the grips are angled to provide the neutral wrist position. for submitting product information about Cybex VR1 Overhead Press We aim to answer all questions within 2-3 days. for submitting product information about Cybex VR1 Overhead Press. We aim to answer all questions within 2-3 days. If you provided your name and email address, we will email you as soon as the answer is published. for submitting product review about Cybex VR1 Overhead Press.